The great thing about podcasts is that anyone can make one, right? Maybe so, but making a good one is another matter entirely. One of my resolutions for 2018 has been to duck out of the movies/TV sphere and do some more watching with my ears — to sample more podcasts than I usually do and stick with the ones that work. Those would be the ones that engage, inform, entertain, and take me somewhere I wasn’t expecting to go. How do you tell the ones that don’t work? Easy: They stick a few cohosts in a recording studio with little idea of what they’re talking about or not very much to say and a self-impressed way of saying it. Based on some new podcasts available through iTunes and other venues, I believe this is actually becoming a genre. 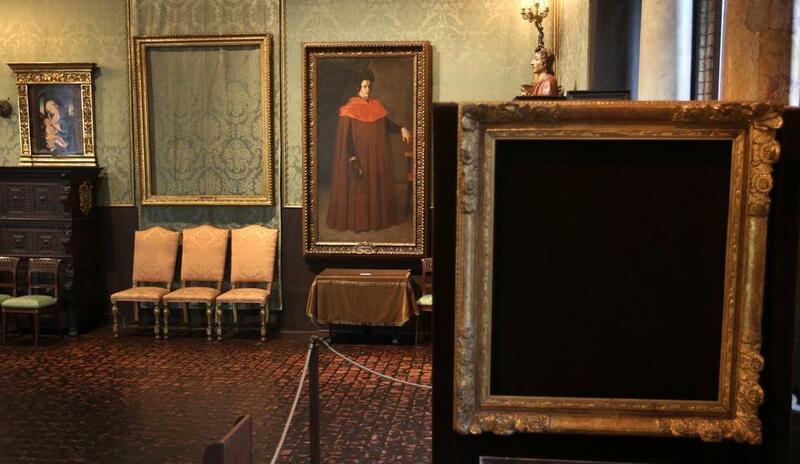 For instance, “Empty Frames: A Heist Story,” a podcast from Crawlspace media and Audioboom that launched last week, devotes itself to an intricate and endlessly fascinating subject: The 1990 theft of 13 works of art from Boston’s Isabella Stewart Gardner Museum. Yet the first episode is deeply unpromising, with cohosts Tim Pilleri and Lance Reenstierna coming off as two genial millennials who just learned about the heist last month and haven’t finished researching it.